Emergencies can happen at any time and it’s important for us to be prepared. But when we are gathering our items to include in our own kits we need to remember to include emergency kits for our pets as well. Wether you call it an emergency kit, disaster kit, first aid kit or evacuation kit you need to keep it well stocked and ready to grab or use in a moments notice. A plastic container or duffel bag that can easily be carried by one person would be ideal. There are a lot of first aid items that can be used for people as well as for pets but there are items that would be needed specific to your pets. The following is a list of the basic items to include and some more specific items for your pet. Putting together your emergency kits are just the first step. It is important to make sure you know how to use all the items in the kit just in case you do have an emergent situation where you need to use them. Time may be of the essence and you may not have time to read up on what to do. Be sure to keep your kits complete and ready to go at anytime. In a true emergency there may not be cell phone service or power so be sure to allow for these circumstances. There are several options of complete kits that you can buy that are ready to go. 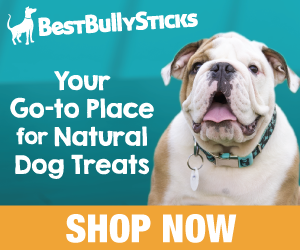 Your can easily add items to personalize it to your specific needs, your veterinarian might be able to give you a list of additional items to include specific to your own pets. Your might want to consider making kits for your vehicles including your car, motor home, camper or horse trailer. If you are ever in an emergency situation you will be glad you took the time to include supplies for your pets as well. Please feel free to leave me any comments or questions in the comment section below. We have 3 dogs and have never worried about their emergency safety needs. Each of us have an emergency kit that stand ready for lack of water, food or electricity along with bandages and other medical equipment. I had forgot about the needs of my pets. Shame on me. This is something that needs to be done for pet survival. When ever there is an emergency there is plenty of things to worry about, your pet shouldn’t be another one. This is a handy kit to have at home. 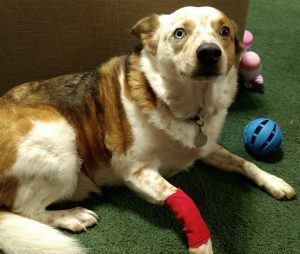 I work at the vet and many owners are clueless when it comes to their pet’s first aid needs. The most common scenarios is that they don’t know how to stop bleeding. There are many cases that would walk right in with a pool of blood with only a piece of cloth to cover – not to compress. If they know how to use self-adhesive bandages in the first place, the outcome of the pet patient would be very different. Thank you so much for visiting my site and thank you for your informative comment. Pet care starts at home and pet owners are “the first responders” so to speak (no disrespect to our Military, Police, Fire, EMT’s etc.) and we need to know how to handle our pet emergencies. As a pet owner it can be very scary when our pet is injured, many of us view our pets as our “four legged children” and we fear for their safety as much as our human children. Thank You again for reading my post.